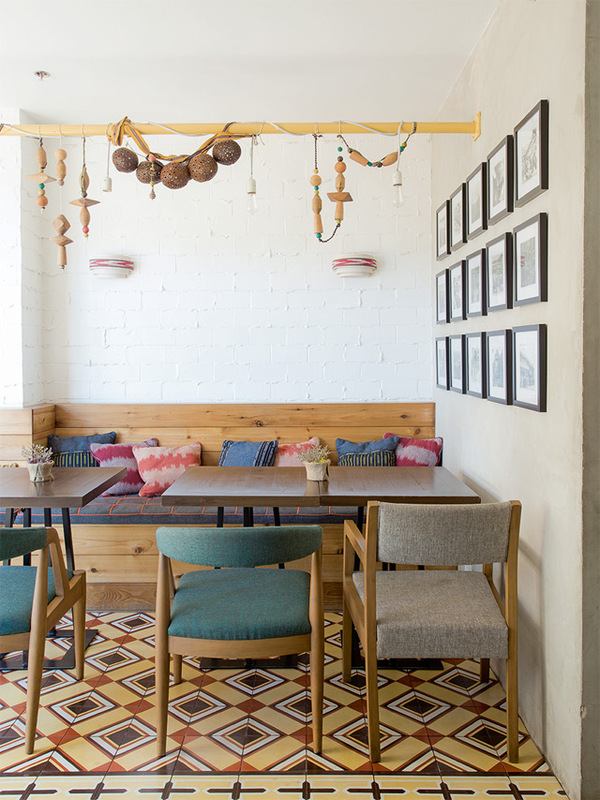 Baguio City has its fair share of quirky shops, bohemian enclaves, and culture hubs. 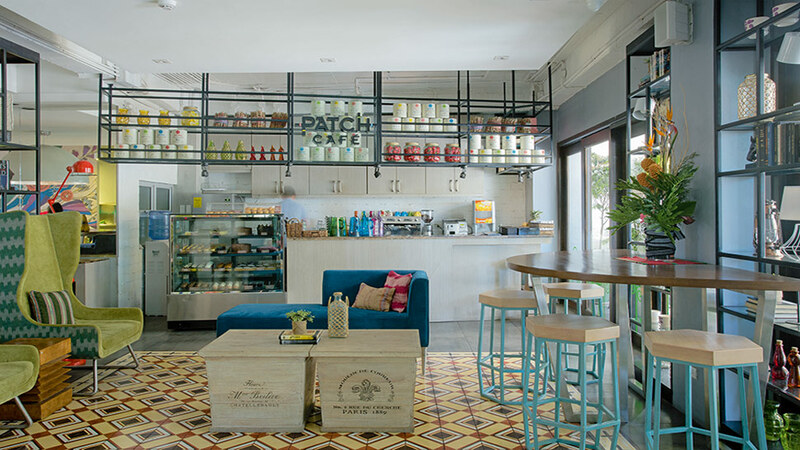 Located in the building that houses the Bloomfield Hotel, Patch Café is a welcome addition to the scene. And fresh it is, with Patch’s food counter/display and lounge area blending seamlessly with Bloomfield Hotel’s lobby. Aside from this, Cordilleran details are also subtly introduced in the upholstery of mid-century modern-style chairs, pillows, and décor. All these give Patch a warm and welcoming vibe. 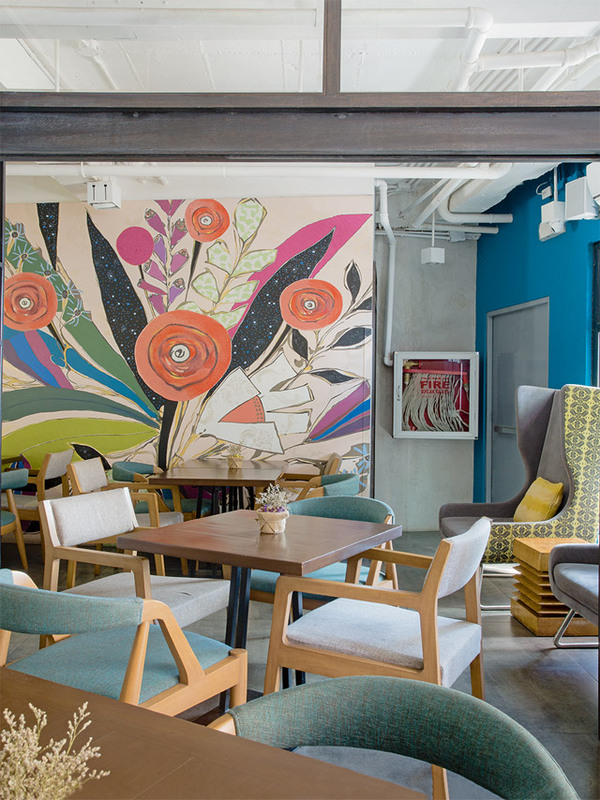 An eye-catching mural lends a playful feel to the laidback café. “Design HQ wanted full windows to let in more natural light but the view outside is not so nice, hence, these sticker decals in traditional geometric patterns to distract the patrons from the view,” Arielle says. Another fascinating element in the café is a chandelier in the bathroom, which is wrapped in a hodgepodge of tribal fabrics. 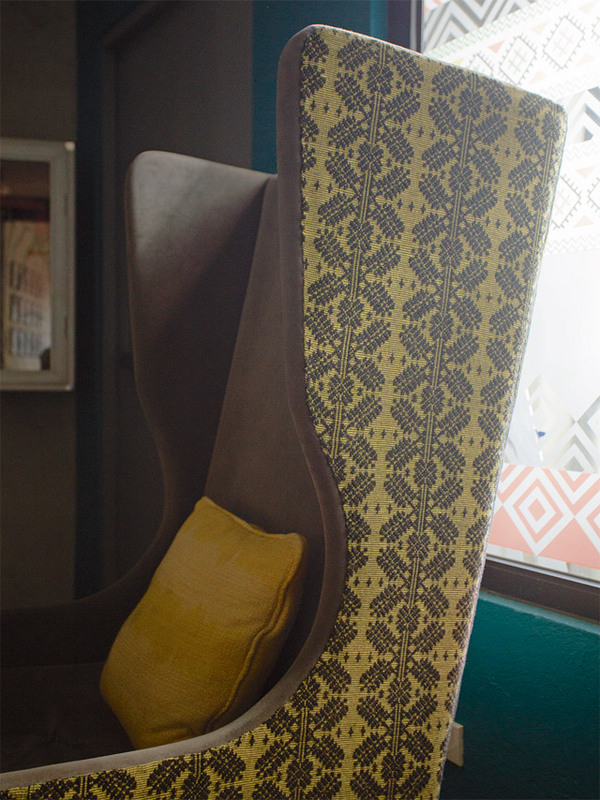 Indigenous fabrics like Inabel and T’nalak were cleverly used to accent modern pieces, making them stand out. Patch Café is located at G/L Bloomfield Hotel, 3 Leonard Wood Rd., Baguio City. 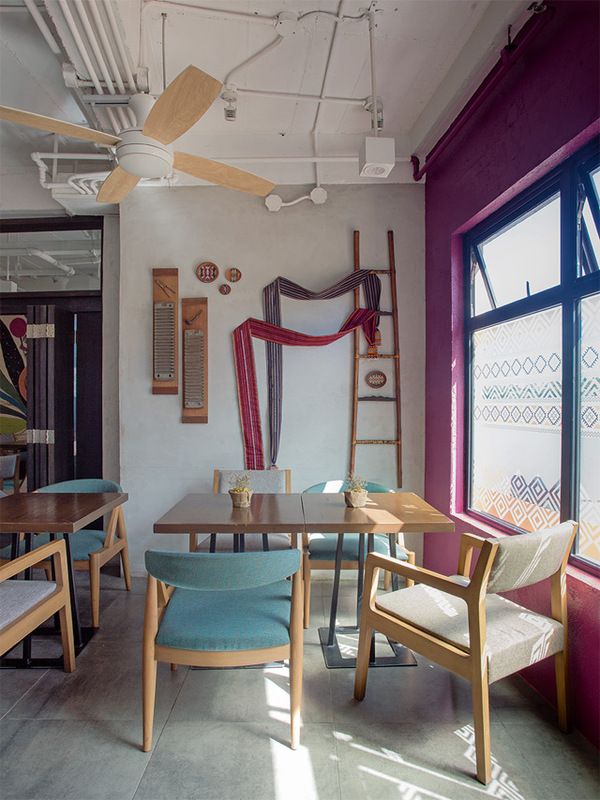 This article originally appeared as “Patch Café: Modern Mountain” in the December 2015 – January 2016 issue of Real Living Magazine.